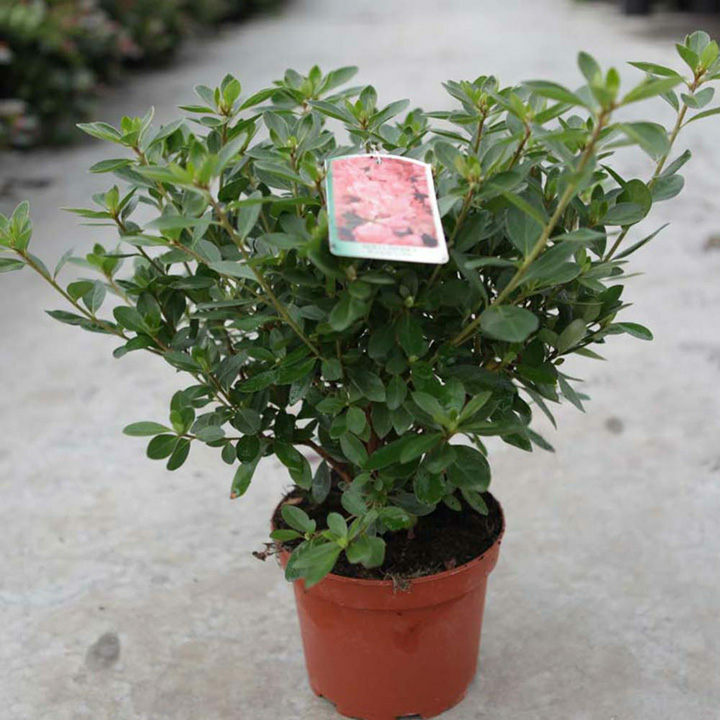 An evergreen, bushy azalea with dark green leaves. In spring it produces a mass of lilac-blue flowers with a pale centre that has a prominent golden blotch. Supplied in a 2 litre pot. Ideal for beds and borders. Prefers partial shade.